Q I need a bridal hairstyle that will suit my long, fine locks and stay in place whatever the winter weather throws at me. What would you suggest? A Hair stylist Tina Howarth says: This natural looking up do can work beautifully for winter brides with fine hair. Soft curls can be backcombed to add volume and clipped loosely into a low, soft side bun for a fuller look. A wide plait over the forehead adds a pretty touch. For ultra-fine hair, a clip-in real hair extension can be blended into the bun for extra wow factor. Leaving soft, tumbling curls loose to frame the face gives a feminine finish and looks great in the photographs even after being outside in the winter breeze. Products such as volumising mousse, fine mist hairspray and Moroccan oil also help to reduce frizzy, flyaway ends for long-lasting results. With the popularity of celebrity chefs, TV cookery programmes and the revival of traditional home baking, today’s newlyweds-to-be have never been more food savvy. Couples want choice and plenty of it, and increasingly are looking to put their own stamp on the menu, opting for personal favourites and regionally sourced produce to flag up their local area. We speak to experts from around the region to find out what’s set to be hot in wedding catering for 2015, turn to page 47 of the current issue for all the details. If you’re tying the knot in a historic venue and are opting for a traditional sit-down meal there’s plenty of scope to give your menu a fresh and contemporary edge. “With the rise in popularity of television dramas such as Downton Abbey there’s been a marked resurgence in couples using the East Midlands’ treasure trove of historic buildings for their big day. There's something for all seasons, including magical venues from around the region which are perfect for a snowy wedding – think roaring log fires, romantic candlelight and hot mulled wine. 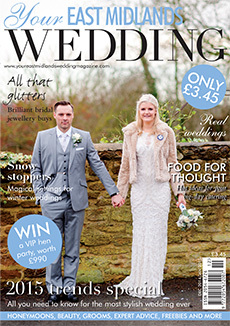 While on page 83 our experts share their top beauty tips for winter wedding wow factor. Whatever time of year you're tying the knot, this issue is bursting with ideas and advice, as well as local news and updates. 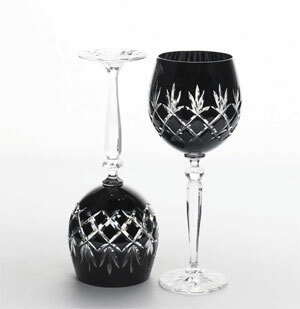 Whether you've just got engaged or are looking for that finishing touch to your big-day décor, there's plenty to delight. 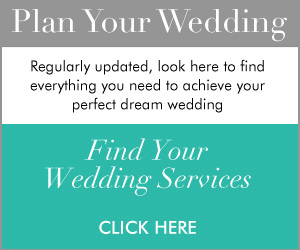 If that's not enough, don't forget to check out our Pinterest page at www.pinterest.com/countyweddings for inspiration aplenty. Bliss out at the Devonshire Spa in Buxton – the perfect surroundings for you and your best girls to relax and unwind before the big day. You can indulge in a whole day of pampering and enjoy full use of the fabulous spa facilities which include a hydrotherapy pool, sauna, steam room, relaxation lounge and more. 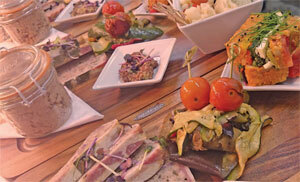 De-stress in the tranquil treatment rooms and enjoy a delicious lunch, with a glass of fizz to wash it all down. At the end of the day, the feel-good factor continues as your whole party will each receive a special gift of a full-size Antioxidant Marine Face Cream from exclusive spa brand ishga. Derived from the Gaelic word for water, ishga blends the natural resources of the Hebrides to create its hydrating and nourishing spa products. 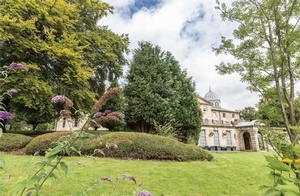 The luxury spa is located at the Devonshire Dome, a magnificent wedding venue which dominates the Buxton skyline providing a breathtaking big-day setting. History buffs are sure to be impressed by this magnificent building. Situated in the heart of Northampton, the exterior is adorned with statues and friezes of past monarchs and saints associated with the town. While inside, the striking decorations and furniture have been restored to their original Victorian splendour. Steeped in period features it’s a stop-stare big-day backdrop, complete with courtyard and cloisters – perfect for drinks receptions and those all-important big-day photos. There are a number of elegant spaces where couples can tie the knot, from the beautiful Holding Room, ideal for small intimate weddings, to the Great Hall, which can host up to 220 of your nearest and dearest for the ceremony and reception. With its decorative shields, kaleidoscopic glass windows adorning the ceiling and colourful murals lining the archways, the hall provides a wow-factor setting for a grand affair. Did you know? 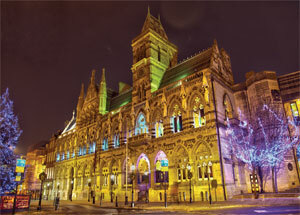 The Guildhall was built during the height of the Gothic revival in 1864 and is renowned as one of the finest examples of Victorian municipal architecture in Northamptonshire. 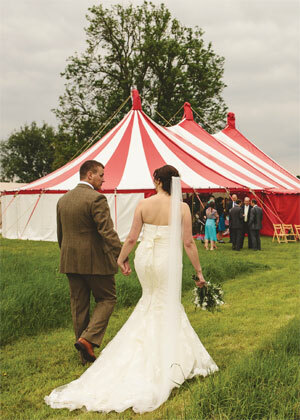 For more big-day venues turn to page 17 of the current issue. Lucy and Gav met while working together catching great crested newts. “Gav’s an ecologist,” explains Lucy. From unconventional beginnings, love blossomed. Gav proposed on a mountain top in Switzerland after Lucy won a holiday there in a competition on the back of a cereal packet. “The mountain featured in scenes from the James Bond movie On Her Majesty’s Secret Service so we chose one of the theme songs, We Have All the Time in the World, for our first dance,” adds Lucy. They tied the knot in the picturesque surroundings of their home village in Nottinghamshire. “We were delighted that we could not only marry in the local church, but also one of our neighbours let us use their fields – normally full of grazing sheep – for our reception,” says Lucy. Adding a personal touch to the ceremony, her friend Abi, a professional musician, played God Only Knows by the Beach Boys on the organ, and another of their hits Wouldn't It Be Nice, as they left the church. Read all about their big-day on page 35 of the current issue. See more of the colour palette on page 61 of the current issue.